Veterans Day brings out the best in everyone, young and old, extending generations deep. At the same token, Brooklyn is a borough rich in tradition and history brought together by generations of families, many of those served in the military in one capacity or another. All three Centers Health Care nursing homes in Brooklyn have a roster of veterans from all different ages from both centuries, Boro Park Center on 10th Avenue neighboring Maimonides Hospital, Bushwick Center on Sheffield Avenue and Brooklyn Center on Coney Island Avenue in Midwood. 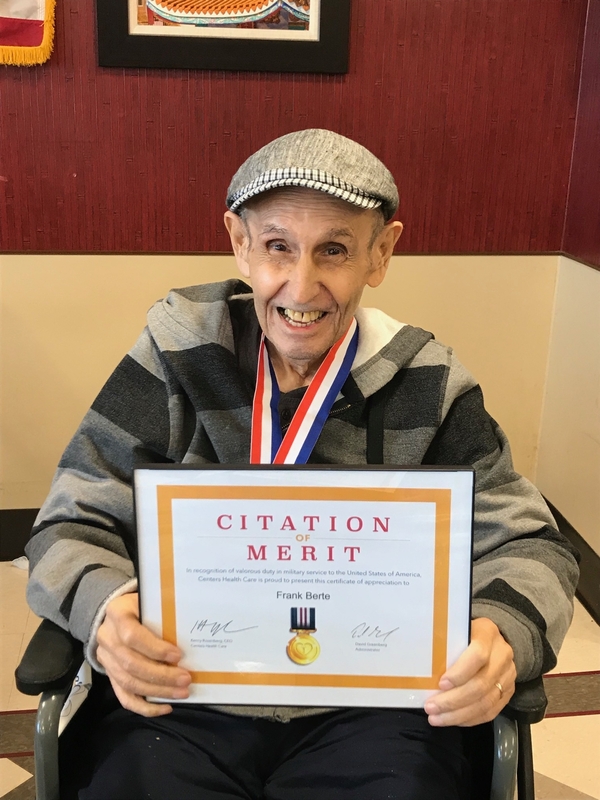 On this Veterans Day, these proud heroes were given medals and certificates, telling priceless and powerful stories of experience and personal accounts you won't find in history books. "Listening to the stories that they about, from fighting in Europe to Southeast Asia, they can write a Hollywood script of what they went through," said Maria Machado, Recreation Director of Bushwick Center. "We owe them our lives, they fought for our freedom." In addition to handing out medals and certificates, patriotic music played and a hearty lunch took place at both facilities. "Every Veteran's Day we honor all of our vets and their families," said Polina Kravchenko, Boro Park Center Co-Recreation Director. 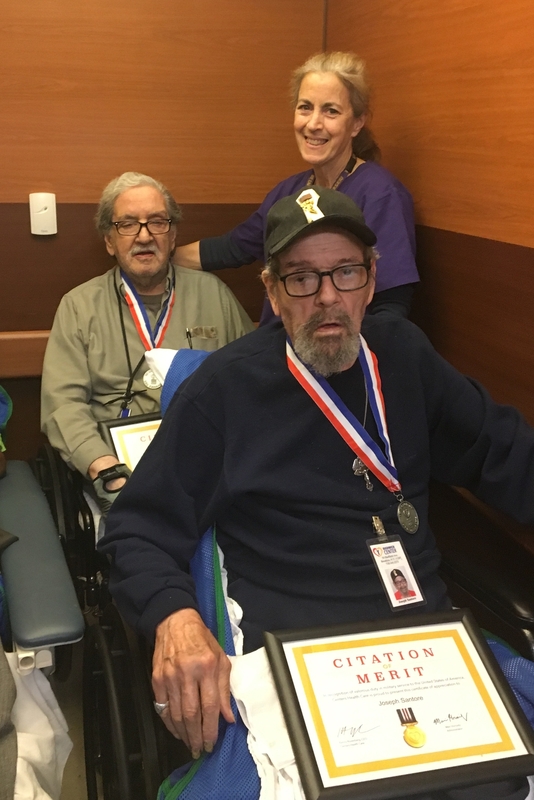 "Boro Park Center has a long tradition of having veterans live with us either on a short-term or long-term bases and it warms our hearts to salute these people every chance we get."